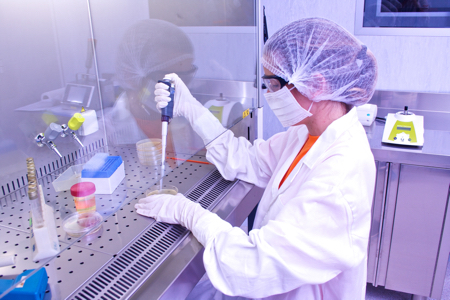 In a pharmaceutical cleanroom, airborne Gram-positive bacteria are a significant problem, as they can contaminate any and all surfaces within the manufacturing area. 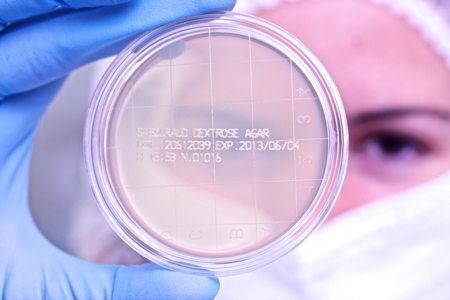 Gram-negative bacteria, which are typically introduced by human operators within the cleanroom, are also an issue, and they tend to be more difficult to eradicate. A further layer of complexity is added by the propensity of Gram-positive bacteria to form spores, which are notoriously difficult to eradicate using disinfectants. The choice of disinfectant depends on the nature of the microbial contamination that is present or possible within the manufacturing area. On the whole, the use of quaternary ammonium disinfectants (quats) suffice in common practice. These quats bind to the outer surface of Gram-positive bacteria, which typically bear a negative charge, and this binding disturbs the cell membrane and kills the bacteria. The surface of a Gram-negative bacterium is less negatively charged, so quats alone are not as effective. The reduced efficacy can be counteracted by adding, for example, guanidine or glucoprotamin components to the quats; this combination will also assist in the removal of yeasts and moulds. Severe contamination, especially if spores are present, will require more extreme disinfectants to be applied, but these have drawbacks. Peracetic acid is often used, which works by oxidising bacterial membrane proteins and phospholipids, and disturbs components inside the cell such as the ribosome. However, it is very non-specific, acidic and corrosive, and causes damage to the surfaces to which it is applied. It is therefore not suitable for routine disinfection. Other options include alcohol-based disinfectants, but these are not suitable for large surface areas due to formation of aerosols and ignitability. However, they are fast working, are easy to handle, and do not damage materials in the way peracetic acid does. Their action is also unspecific, as they reduce the protein solubility of the membrane proteins, leading to the breakdown of membrane potential. Chlorinated bleach-type disinfectants can also be used in certain circumstances, and they are much more commonly employed in the US than in Europe. There are three main steps involved in the validation of a disinfection process. First, a qualified disinfectant must be used. It must have vendor certification that it is appropriate for the purpose. The second step is verification of its disinfectant action within the facility. For the most part, the vendor will have tested the disinfectant only on a standard surface (e.g. stainless steel). It is relatively easy to remove bacteria and other micro-organisms from such a smooth, non-absorbent surface, but this is not the case for many of the other surfaces within the manufacturing area, such as floors, sidings and even curtaining. Tests verifying disinfectant activity must be done on all the materials used within the cleanroom. Finally, the success of the disinfection process must be monitored on an on-going basis. Data must be collected and a statistical comparison performed, with alert limits and action limits created. These limits should be sufficiently stringent to ensure there is good control of the cleaning and disinfection process. The tests are usually carried out on 5 x 5cm tiles of the surface in question (test carrier), which are first contaminated with the relevant micro-organism. The disinfectant is applied in the concentration at which it is used in practice, and left for the appropriate time. It is then dropped into a beaker of neutralising solution, before being rinsed. Finally, the micro-organisms present in the rinsing solution are investigated, either incubating the solution directly on agar plates, or the filter is incubated on agar after membrane filtration, followed by enumeration. The main aim of the tests is to mimic the conditions that are present in the manufacturing area within a laboratory setting. Importantly, this means many more parameters will require testing than are laid down in standard methods. These standard methods specify certain micro-organisms (e.g. Pseudomonas aeruginosa ATCC 15442, Staphylococcus aureus ATCC 6538, Enterococcus hirae ATCC 10541, Escherichia coli ATCC 10536, Candida albicans ATCC 10231, Aspergillus brasiliensis ATCC 16404) as reference strains, but the regulatory agencies also expect isolates from the actual environment to be used too. This means each disinfectant will have to be tested against eight to 12 different micro-organisms. The correct contact time must also be established, which is particularly important given that many manufacturers have different recommended times for the same disinfectant. They might suggest 10 minutes, extended to 60 minutes if necessary, and thus both 10 and 60 minute contact times should be tested. 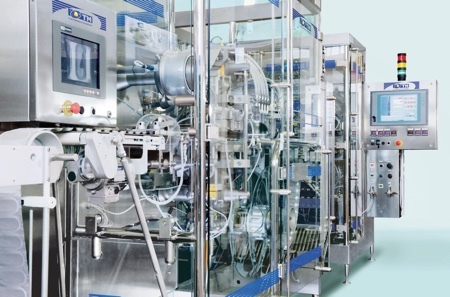 Three controls are run in parallel – one a positive control with no disinfectant, one to confirm that the neutralisation solution does not affect the bacteria, and a recovery validation control. The difference in the number of bacteria between the treated sample and the positive control gives an indication of the effectiveness of the disinfection, and the reduction log factor can be calculated. The tests need to be run on all materials that are present within the cleanroom, so sample tiles of glass, Plexiglass, aluminum, PVC fabrics and flooring, for example, will be required. 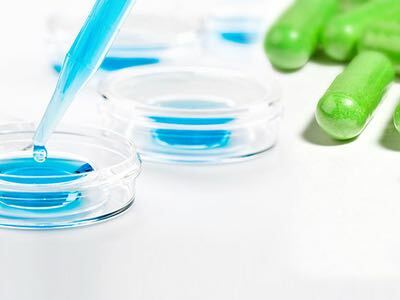 With up to eight materials to test under the different contact times, and the need for controls, at least 100 tests will have to be run for a single disinfectant. USP and other guidelines require tests to be run in triplicate, upping the number to 300-plus. Once all the other disinfectant products that are used are included, this means upwards of 1,000 individual tests will be required for qualification. This represents an enormous amount of manual work, and thus a huge investment in time and cost. 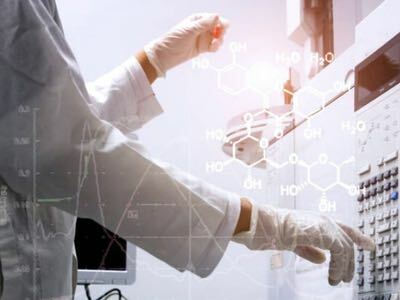 Furthermore, the large number of steps involved leaves the process susceptible to errors, hence the requirement to run tests in triplicate to evaluate reproducibility. This is achievable only with a well-trained team of analytical scientists. There are a number of other problems that make the process difficult and challenging. Some of the carriers can be used only once – for example, it is almost impossible to decontaminate PVC for a second test without damaging it. In contrast, stainless steel and glass carriers can often be used more than once. Another issue is the carrier’s wettability. It is very difficult to spread aqueous solutions containing micro-organisms evenly on silicone materials, for example, as the surface tension causes the liquid to pool rather than spread. 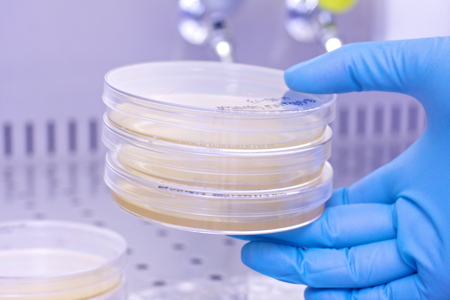 The microbial isolates from the cleanroom can be difficult to work with, as they may have been damaged and thus do not grow as well as the reference strains. This can cause difficulties with the positive control, and if reliable results cannot be achieved for this, the remainder of the results cannot be relied upon, either. Pseudomonas species prove particularly problematic as they do not like to be spread on surfaces, preferring a water-based environment. As a result, the isolates can die in the absence of disinfection within the normal contact time, affecting both the test sample and the positive control. This situation can be ameliorated if the humidity is high within the test environment, as the kill rate resulting from drying will be reduced. These are just some of the reasons why there is no substitute for experience when running these tests. When using a contractor for the validation, it is important that everything discussed about the studies between the parties is documented. There is simply so much work involved, and work whose results can be variable, that the requirements to repeat tests if necessary should be laid down at the outset. It pays to invest some time in the protocol to address the GMP-compliant handling of possible incidents. While there is a whole range of standardised tests laid down by various standard boards, such as the ASTM (e.g. E2614-08) and AOAC (e.g. 966.04) methods from the US, the requirements differ, and there is not one standard that covers all eventualities. One of the most detailed test methods for disinfectants on surfaces is the European standard EN 13697, which can provide a basis for the validation protocol. When designing a validation procedure, the best way to proceed is often to collect the best and most relevant elements from several standards, and put them together. The resulting validation protocol should be discussed with the client, and if it meets all requirements it should be fully accepted by the authorities. The last step of the validation programme for a disinfection process is to monitor its ongoing success. This will typically be achieved using procedures and techniques such as contact plates, swabs and the rinsing of material. A lot of data are created, and statistical comparisons need to be made to assess the impact on disinfection within the facility. Alert levels and action levels will be set, above which levels remedial action will be required. Precise specifications for these do not appear in any guidelines, as they must be assessed and determined specifically for each individual facility, based on all the data generated and evaluated during the validation and ongoing test work. Only one of the guidelines, USP Chapter 1072, lays down specifications for effectiveness of disinfection; there are no such specifications in Europe. USP states that, normally, a 3 log reduction is required, and a 2 log reduction for bacterial spores. However, this reduction is particularly difficult to achieve for spores; 1 log or even 1.5 log is usually attainable, but 2 log is very difficult to achieve. The 90% reduction represented by 1 log is usually possible, but to achieve the 99 out of 100 kill rate implied by a 2 log reduction is incredibly difficult when using various test carriers. Prolonging the contact time or increasing the concentration of the sporicidal disinfectant – e.g. peracetic acid – is only going to cause damage to equipment and environment. Therefore, realistically, a 1 log reduction is likely to suffice for a pharmaceutical cleanroom, unless there is an unusually high level of contamination with spores. 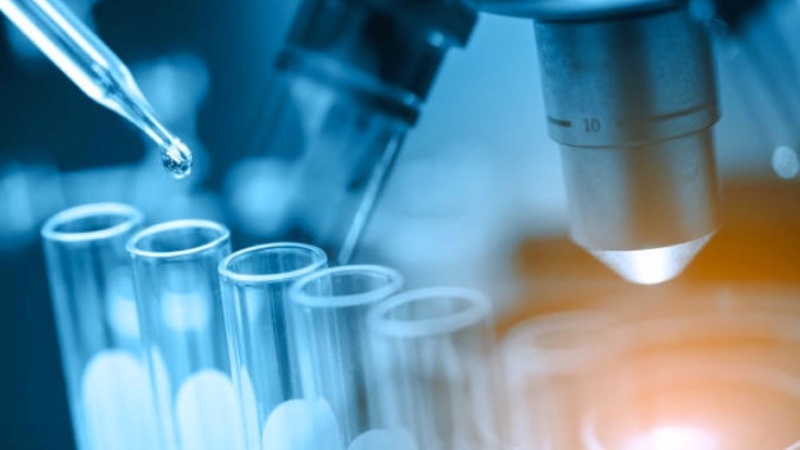 The different regulatory guidelines all emphasise the importance of validation studies for proper disinfection, but with the variability of materials, conditions and layout between different sites, it is important that each facility is treated as a unique environment. Collecting the data that proves a disinfection protocol is effective requires a great deal of experience in the microbiological laboratory, and reproducible results can be expected only when the sampling and testing is carried out by a well-trained team who routinely work on the task. 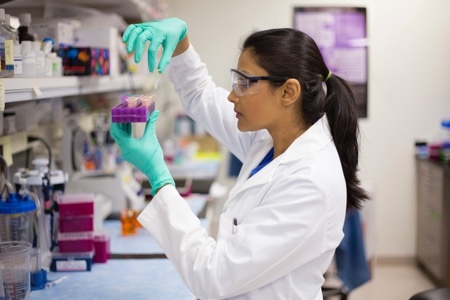 It is not something which a routine microlab will be able to carry out successfully, and specialised personnel are required. Inexperience or lack of attention to detail is almost certain to lead to failure, and if disinfection cannot be proved, then the risks to patients will be significant. This view is also reflected by several warning letters issued by the FDA in recent years.